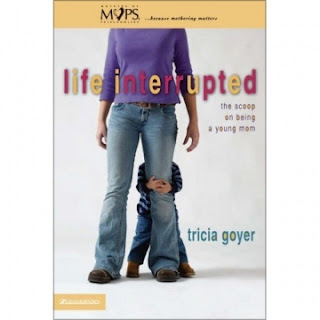 This week I'm featuring Tricia Goyer as sort of a guest blogger on my site. Tricia is the talented author of first-rate fiction and life-changing nonfiction. I witnessed Tricia's dedication and commitment in person when I had the opportunity to sit in on a class she taught at the 2007 ACFW Conference, so I proudly endorse any endeavor she sets her hands to. There's a baby boom in Tinsel Town, and many of its biggest stars are taking part. Already this month, singer Christina Aguilera and her husband welcomed a son, and Nicole Richie, girlfriend of rocker Benjie Madden, gave birth to a daughter. Others are mamas-in-waiting, proudly showing their expanding bellies and giving interviews on when their engagement may take place. Still others allow the media to guess who the father might be. Popular magazines cover every moment of their pregnancies and likely would have sent reporters into the delivery room if allowed. Designer diaper bags have replaced designer purses as the cool new Hollywood accessory. Baby showers take precedence over wedding showers, and the wedding does not necessarily come before the birth. It all looks so glamorous and exciting. Who wouldn't want a beautiful bundle of joy to lavish love and kisses on? And yet, sometimes that bundle arrives under circumstances that are not God's best. Take, for example, Jamie Lynn Spears. One moment she was a squeaky-clean teen television sensation and star of Nickelodeon's Zoey 101. The next, she's in the news not for her acting but for being a pregnant teenager. With one decision, her reputation is now in shreds and her television show is under the threat of cancellation. One decision; huge dilemma. This week is Sanctity of Life week. And because of the Hollywood Mama Drama, it is also a perfect time to understand that mama drama doesn't only happen in Hollywood. Every year nearly 1 million teen girls find themselves pregnant, and unlike Hollywood stars who have the money and fame to carry them, these girls wonder what they should do. Many choose abortion, and because of this they not only sacrifice the life of their child, but this decision also brings heartache they must carry for the rest of their lives. Perhaps YOU can be the one who can make a difference. Who was the first one Jamie Lynn Spears turned to when she found out she was pregnant? Not her mom. Not her sister. She turned to a friend. What if you were that friend? As a teen what can YOU do when a pregnant friend comes to you for advice? Remain calm and loving. Your friend most likely feels alone, frightened and extremely sensitive about her pregnancy. The most important thing you can offer is your continued friendship. Show God's love and forgiveness. Your friend may have been looking for love by giving herself intimately to a guy. Now she might feel ashamed and unworthy of love at all. Point her to God, who loves her unconditionally. Celebrate life. She may consider this baby a "mistake"--a barrier between her and "normal" life. Lovingly remind her that no matter how the baby was conceived, he or she is a gift from God. Be available to share ... and to listen. Your friend has big decisions to make, and although you can't make those decisions for her, you can be available to help her consider her options. Share information you've discovered on fetal development and on the physical and emotional trauma of abortion. Most of all, be willing to listen to your friend's deepest concerns. Find help. Your friend is most likely in need of more answers than you can give. Visit a local crisis pregnancy center with your friend, or call CareNet for help at 1-800-395-HELP. Encourage her to tell her parents and to seek the counsel of a pastor or youth pastor. Partner with her to make better decisions in the future. My Life, Unscripted (Thomas Nelson) is a book for teen girls and encourages teens to script their lives instead of being caught up in the drama and emotions of the moment. Read it together. Talk about the importance of making good choices.Give her a book to help her face her unique issues, such as Life Interrupted: The Scoop on Being Young Mom (Zondervan). Of course teen pregnancy isn't the only drama young women face. If you or someone you know has made a positive decision as a teen, Tricia Goyer wants to hear about it. ***Video Contest for teens. Watch the video for the contest here! Here's the scoop! Attention TEENS! Want to win an iPod? Yeah, me too! (Just kidding.) Tricia Goyer, author of the teen non-fiction book My Life, Unscripted (Thomas Nelson) is hosting a video trailer contest! My Life, Unscripted uses the metaphor of screen writing to challenge young women to "script" your lives, rather than be blown along by the next emotional drama or temptation! (Been there, done that!) You could be one of three lucky contestants to win an iPod! All you have to do is make a short (or not-so-short) video trailer sharing concepts shared in the book: My Life, Unscripted ... such as: how you've overcome temptation, or survived peer-pressure, or dumped the Loser boyfriend, or restored a relationship with your parents, or found your strength in Christ! Be creative ...interview your friends (or even better, make them wear dorky costumes) and add some cool music. Then just post it on GodTube (video must be approved by GodTube before it is broadcasted, which takes a few hours) or YouTube! 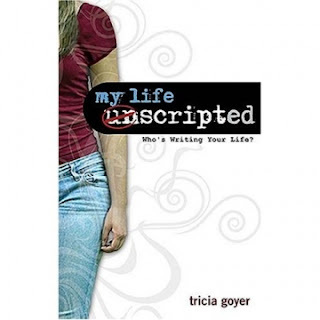 You also must include three things in your video:1) the book title: My Life, Unscripted2) the author: Tricia Goyer3) and these words: "Check it out!" After you finish the video, email your name, age, video link, and your address to: bookmarketing@triciagoyer.comThe winning videos will be the top three with the most views as counted on GodTube or YouTube on March 31, 2008 at 11:59 p.m. This contest is open to young women ages 13-19. So go ahead, tell your friends, your teachers, your youth leaders ... and your parents friends to check it out! ***Videos with inappropriate content as decided by Tricia Goyer will be disqualified (G-rated please). For your best chance to win, only upload videos to either GodTube or YouTube. Choose one. 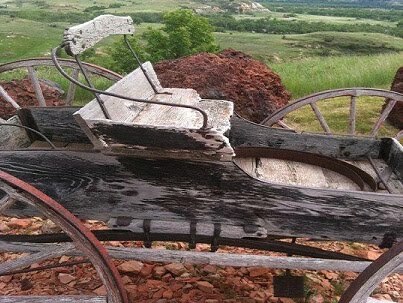 We will not add totals from more than one site together. Three winners will receive an iPod Nano 4G. Thank you so much for your kind words and for posting this on your blog! Hey, I got to sit in on Tricia's class at the 2007 ACFW conference too. Made me laugh, made me cry, and I learned a lot...about writing and about Tricia. Highly recommended.